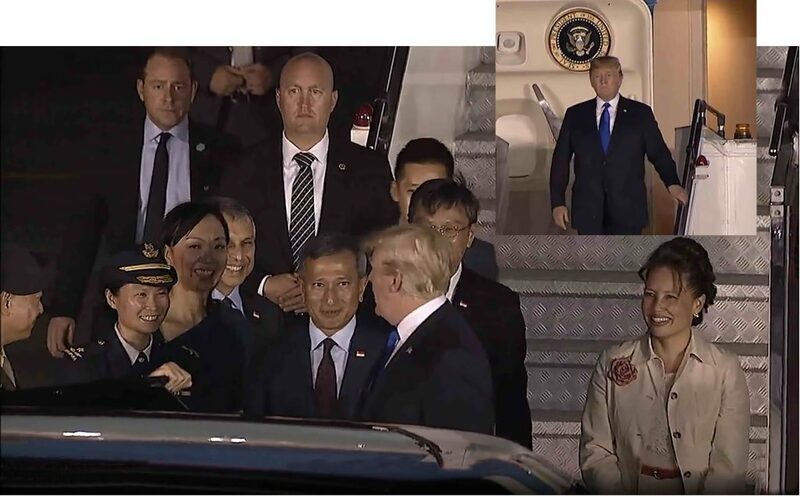 MONDAY, 11th June 2018: Yesterday Air Force One landed at a Singapore military airport with President Donald J Trump arriving for the US-North Korea denuclearization talks that will be held tomorrow where he will meet the leader of the Democratic People’s Republic of Korea (DPRK) Kim Jong Un. The historic meeting might see the the laying of the groundwork for ending a nuclear stand-off between the long-time foes. 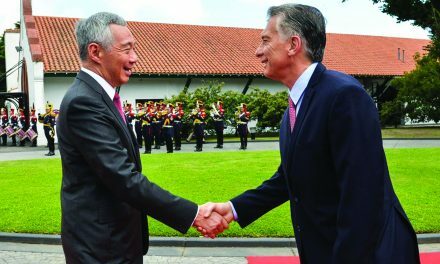 President Trump was met by Singapore’s Foreign Minister Dr Vivian Balakrishnan at Paya Lebar Airport (pictured above) amidst a tight security cordon placed in the island especially the talks venue at Capella Hotel situated in the resort islet of Sentosa. The US and North Korea broke off diplomatic relations since the 1950 – 53 Korean War. 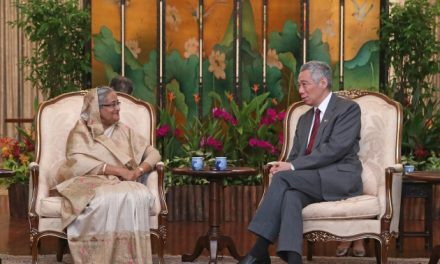 President Kim arrived in Singapore earlier on Sunday and was also met by Minister Balakrishnan at Changi Airport. According to news agency reports, President Kim came together with his top officials including Foreign Minister Ri Yong Ho and Kim Yong Chol, a close aide of Kim who played a major diplomatic role that led to tomorrow’s summit. President Kim’s younger sister, Kim Yo Jong is also in the delegation. For the US side, President Trump arrived with Secretary of State Mike Pompeo, National Security Adviser John Bolton, White House Chief of Staff John Kelly and White House Press Secretary Sarah Sanders. Reuters news story by Steve Holland and Jack Kim published yesterday reported that President Trump who was in Canada on Saturday, said any agreement at the summit would be “spur of the moment,” underscoring the uncertain outcome of what he called a “mission of peace”. 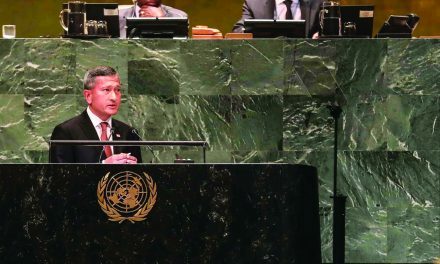 He also said the talks would be more about starting a relationship with Kim for a negotiating process that would take more than one summit. 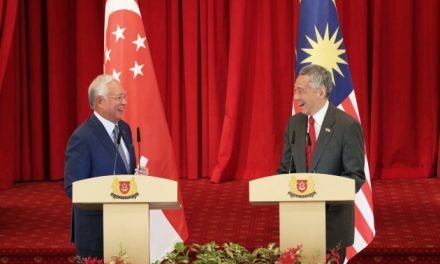 A Singapore Ministry of Foreign Affairs had also issued a statement yesterday that Prime Minister Lee Hsien Loong had a separate meeting with Chairman of the State Affairs Commission of the DPRK Kim Jong Un on Sunday and will meet today President Trump during their visit in Singapore for the US-DPRK Summit.